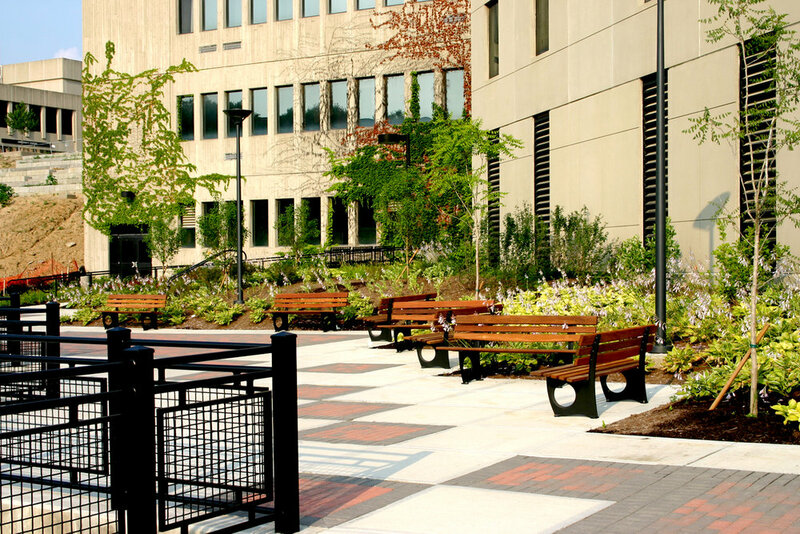 CARMAN provided planning, design and engineering for a campus commons for the primary academic core of Northern Kentucky University (NKU). The focus of the design is the development of a multi-level lake that has become a dominant visual feature as well as a space, which provides areas for interactive enjoyment by campus staff, faculty, administration, students and visitors. 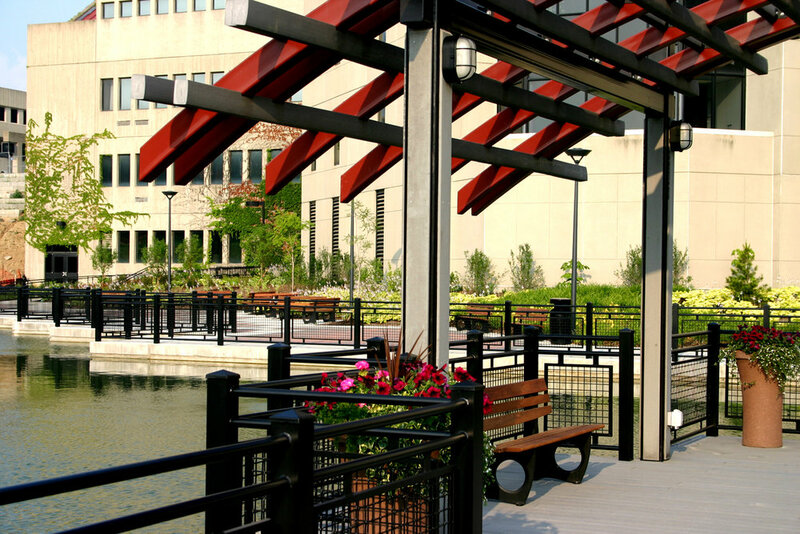 The two tiered lake system is being utilized for capturing stormwater runoff, mitigating groundwater surcharge into adjacent campus buildings and an interactive, hands-on outdoor demonstration area for aquatic habitat. 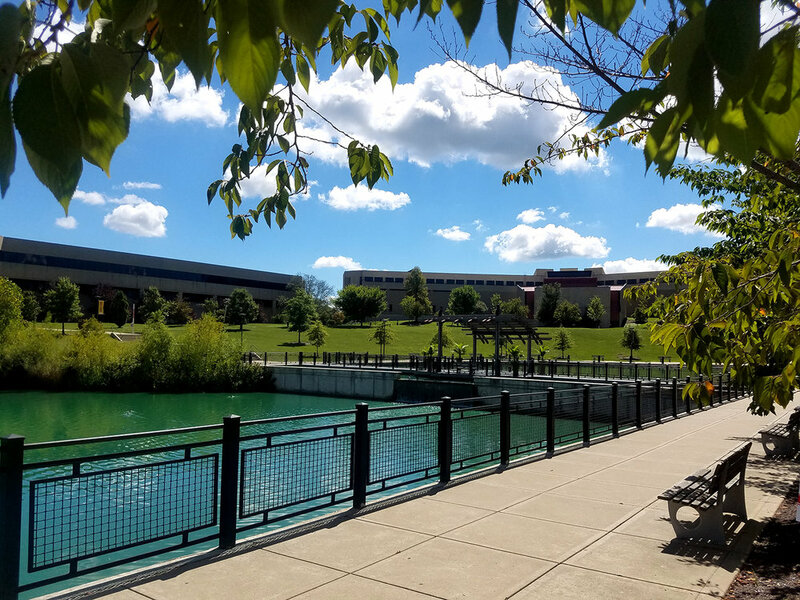 The Loch Norse Lake Commons offers a means of interconnecting the various areas of the campus with an extensive system of walkways, nodes, plazas and a 150-foot bridge across the lake. Waterfalls connecting the pools of the lake provide both visual enhancements and pleasant sounds of falling water that further enhance the commons. In addition to the extensive visual improvements to the lake area, CARMAN addressed the problem of stormwater drainage for the lake area of the campus. The drainage system, in conjunction with the hydraulic improvements for the lake, was improved to mitigate drainage surcharge into adjacent buildings and to minimize downstream drainage impacts on the surrounding area of campus. The project was awarded a Design Honor Award by the Kentucky Chapter of the American Society of Landscape Architects.